Magnetically Attract Dust & Dirt – Just Add Water! Non-toxic! No harmful chemicals, fumes or vapors – just add water! We are confident that once you try Blue Wonder microfiber cleaning cloths and other products, you’ll never want to use anything else. That’s why all of our products come backed by our famous 30-day money back guarantee! Try Blue Wonder™ microfiber cleaning cloths and other products in your home – in your kitchen, in your bathroom, garage or basement – for a full 30 days. If you feel unsatisfied for any reason, simply return your order to us within 30 days, and you’ll receive a full refund less shipping and handling. So as you can see, you can try Blue Wonder™ microfiber cleaning products at absolutely NO RISK! Our Blue Wonder™ microfiber cloth comes with a Lifetime Guarantee under normal residential use. It's easy to go green with Blue Wonder eco-friendly cleaning supplies. It will cut your house cleaning and window cleaning time in half. And, it will look like you had a maid service clean! "Thank God for the Blue Wonder cloth! I received my cloth for a birthday gift from my sister-in-law, and she said you have to use it to believe it. That’s so true! In the last four years I have not bought a bottle of window cleaner or any house cleaners for cleaning. Blue Wonder is absolutely the best. I told my friends and family, since then most of them have purchased one… Blue Wonder cloths are the best for windows, mirrors, and anything that needs to be clean. It leaves no streaks or no scratches. Thank you so much." I.W. Blue Wonder™ microfiber cleaning cloths are made from a superior patented blend of high quality nylon and polyester that was developed in Switzerland. We use a superior heat-weaving process in which polyester and nylon fibers are repeatedly pressed, blended and intertwined to create the ultra absorbent Blue Wonder™ microfiber. Blue Wonder™ was ahead of its time. It was the “go green” cleaning product before being environmentally friendly existed or was even trendy! Blue Wonder™ has quickly become one of the most popular microfiber cleaning products on the market today. We are committed to producing products that are environmentally friendly and help people achieve a better quality of life. Make your home an eco-house using Blue Wonder's environmentally friendly microfiber cleaning products. Say Goodbye to Dust Particles! Thanks to a unique patented heat-weaving process that blends the polyester and nylon, Blue Wonder™ microfiber cleaning cloths magnetically attracts dust and dirt, eliminating the dust particles you’d normally see flying around while dusting. For this reason, Blue Wonder™ microfiber products are ideal for people who suffer from, chemical sensitivities, allergies and asthma. Blue Wonder™ has been laboratory tested and removes 99.9% of bacteria. No more chemical cleansers, no more dust particles in the air, just naturally clean. "When I showed the Blue Wonder cloth to several friends, their initial reaction was skepticism at the cost of this little blue cloth until I let them try it and they saw for themselves what it can do. Blue Wonder takes the drudgery out of cleaning. There is no other cloth like it! The cloth is amazing. I don't know what I would do without it! I am now ordering more cloths – I want one for bathroom, kitchen, car, windows, etc. I also want to give my mother and sister-law one as a gift." C.J. "My son no longer suffers from itchy eyes and a runny nose every time he walks in a freshly cleaned bathroom! Chemical free is the way to go." S.H. "I’ve had my Blue Wonder cloth for many years now. It’s still in great shape and working just as well as the first time I used it. I need to have more Blue Wonder cloths so I can keep one for windows, one for the vehicles, and one for all other cleaning purposes... I’ve owned other microfiber cloths but nothing does as good a job as my "Blue Wonder." I’ve talked about it extensively with others in my town, so now I will inform them that it can be ordered online. Thanks!" C.L. 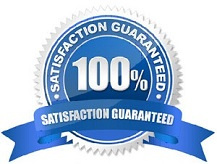 ORDER NOW: All products are backed by our 100% Satisfaction Guarantee! © 2000-2019 CWR Enterprises Ltd. All rights reserved.